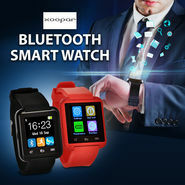 Bluetooth Smart Watch is not available for purchase currently. Customers also show interest in below products. Perfect combination of style and utility, Bluetooth Smart Watch is a must have accessory to keep a track on all your day-to-day activities. It has a square shape touch screen display of 3.65 cm. 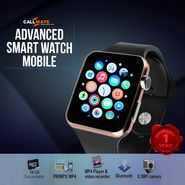 The watch is compatible with all Android device to sync call log, contacts, SMS and also sync the notifications from all social networking sites. 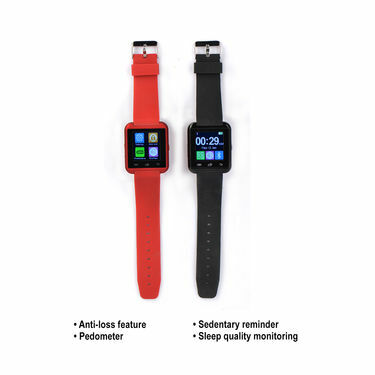 Anti-loss feature beeps to alert when searching Smart Watch if it is connected to phone and vice-versa. Moreover, the device also keeps a track of daily activities when it comes with a sleep monitor, a pedometer, a water-intake and a sedentary reminder. 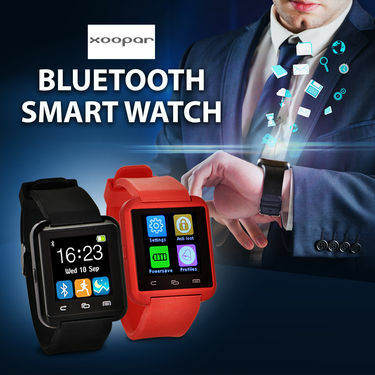 With the advanced technology, smartwatches today are making your life easier by providing alerts right on your wrist so you don?t have to constantly rummage around and pull out your phone. If you are looking for one, then you should definitely consider Bluetooth Smart Watch. This is our hands-on detailed review of the smartwatch. Take a quick look. Design: The design of the smartwatch is simple, yet elegant. The design will match a variety of different outfits. It even looks good enough on formal attire. Display: The 3.65 cm touch screen display is pretty good for a smartwatch. The screen is also vibrant, colorful, and easy to see. 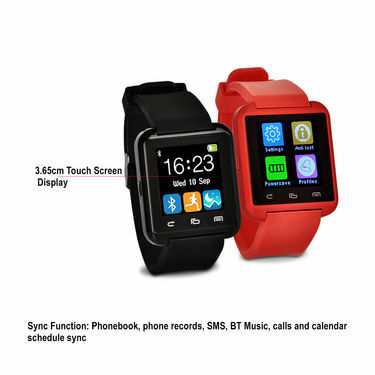 Compatibility: The watch is compatible with all Android device to sync call log, contacts, SMS and also sync the notifications from all social networking sites. Connectivity: It has call functions that make you easy when attending or rejecting a call. 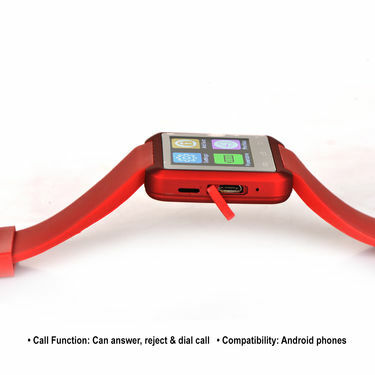 Additional Features: It has some amazing other features like a sedentary reminder, sleeps quality monitoring, anti-loss feature, pedometer and notification in sync with the calendar. 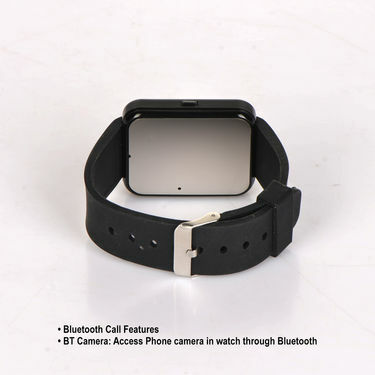 What else we like about the watch is the BT Camera that allows you to access phone camera on watch through Bluetooth. Performance & battery: The smartwatch comes with 250 mAh with back up of 2 hours and standby up to 2 days. The watch is quick to respond to all of my taps and gestures and nothing ever felt slow to load. 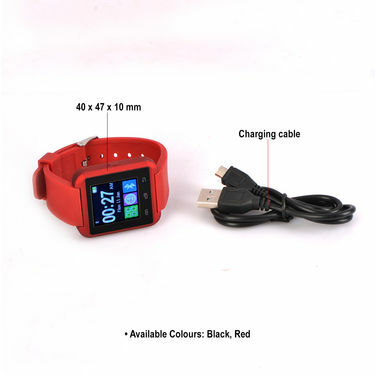 Available Colours: Available in two attractive colours, Black & Red it will definitely make you look your wrist smart. Moreover, it is ideal for gifting purposes too. Reviewer: If you are in the market for a new smartwatch, the Bluetooth Smart Watch is definitely worth considering. We really loved its design and easy to use features that make it amazing to buy at this price range.